Chilling at the coach boat with OST Coach Chris Cowan. Another local regatta is in the books! Royal Hamilton Yacht Club was our host for the Lilac Regatta. After no racing on Saturday due to no wind, we sailed five races in marginal hiking to light wind on Sunday. Racing was extremely close, and consistency was the name of the game. I managed to secure the win after finishing in the top 4 every race. I stayed focused on my starts and upwind technique, and this placed me consistently in a good place at the first windward and allowed me to stay in the game every race. Racing in such a small fleet has its own unique challenges but I consider it good practice for the future when I look forward to racing in some medal races. 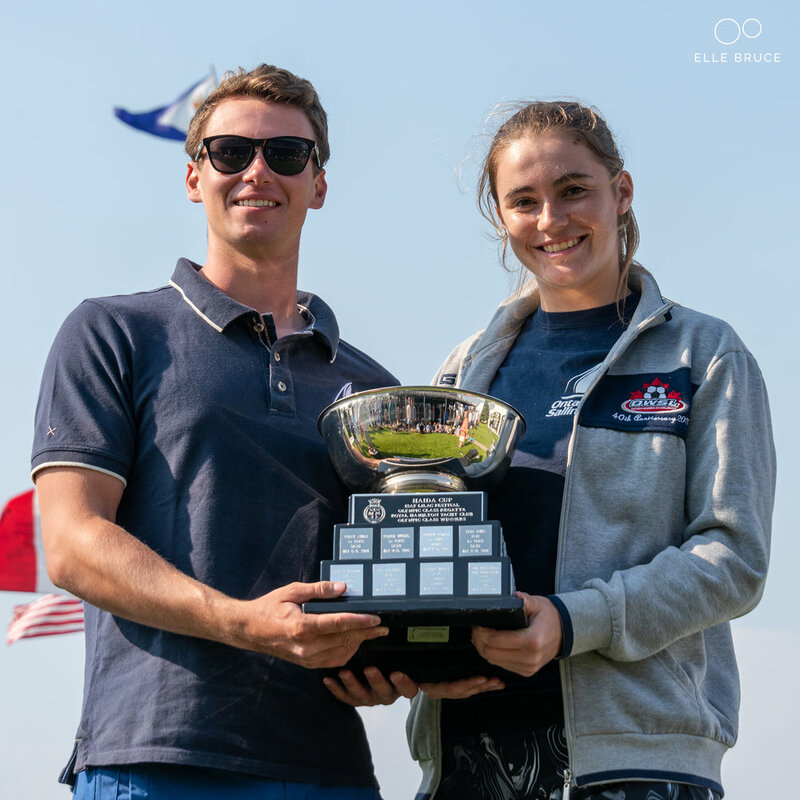 Honoured to share the Haida Cup Award with fellow Ontario Sailing Teammate Clara Gravely. For the second weekend in a row I raced a regatta in laser standard. This time it was at RHYC in Hamilton for the Lilac Regatta. Hamilton Harbour brought medium to light winds and on the second day, dense fog. It made for some interesting racing! Off the start and heading upwind - hopefully towards the mark. Going into the final race I was in a 3-way tie on points for first place but a 4th saw me finish in 3rd out of 12. My consistent results showed that I can keep up with the top group and I look forward to training with them in the fall. 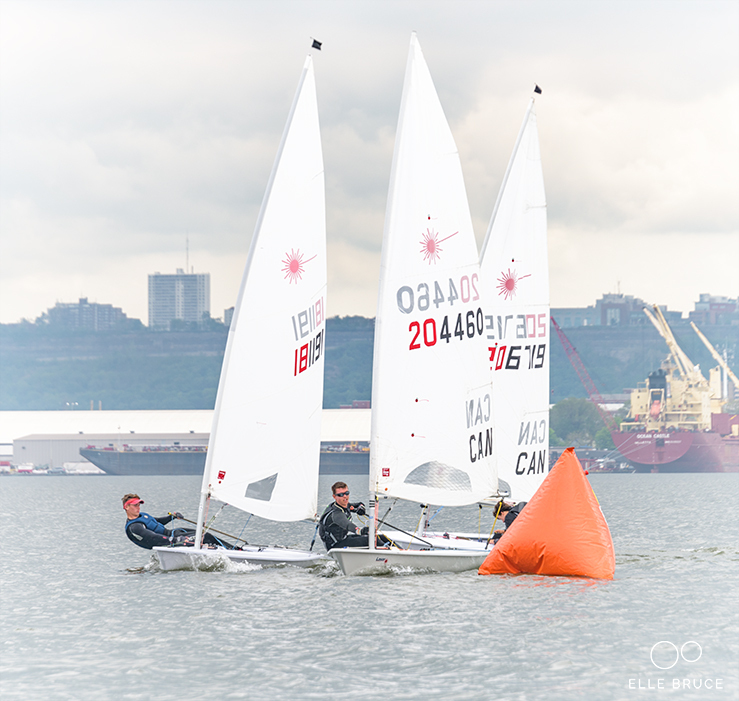 Lilac regatta took place recently on May 28-29 weekend. 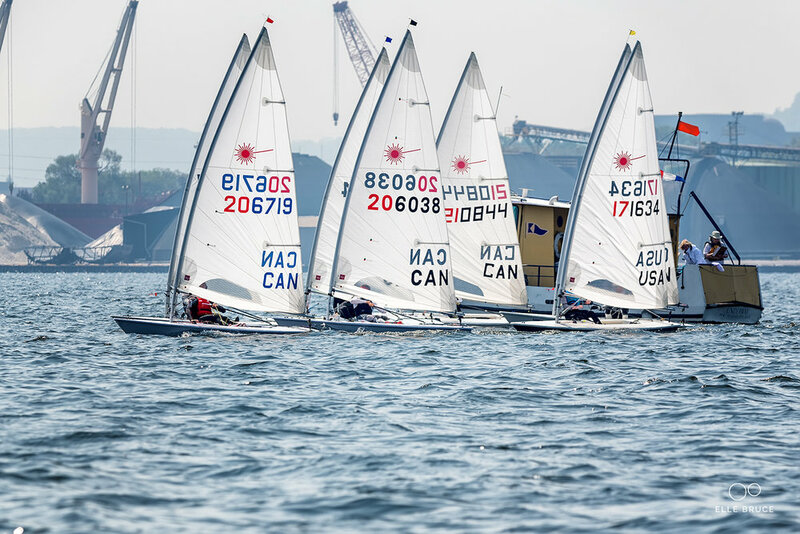 Twenty two competitors competed in the laser radial class. On Saturday 4 races were completed in light wind and extremely shifty conditions. I scraped out of the day with finishes of 8, 5, 1 and 5 placing me in 3rd at the end of the first day. Sunday brought steadier breeze and colder temperatures with wind reaching 12 knots. I was delighted with how I sailed on the second day, winning all 3 races and leading the one that was called off by significant margins. Sunday's results moved me into first place overall as the regatta finished up. Hamilton harbour being a smaller body of water creates conditions that are difficult to master and is it's an interesting place to sail, I look forward to facing the challenge again soon.